Sadar Bazar Delhi is the biggest wholesale market for so many item. But if we will talk about cards holder this is the best place you can buy card holder in a large quantity . 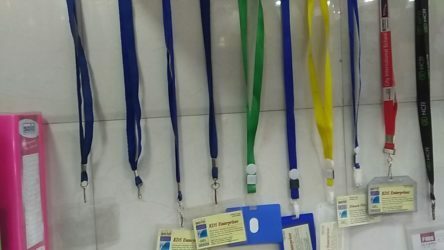 This is the wholesale market and so many manufacturers are also here who manufacture card holder you can order in bulk quantity minimum order will be 100 piece and you can get it in very low cost more than 80% profit you can get from the steps of item you can sell it out in your stationery shop. You can also sell it in corporate sector,corporate offices and you can make good amount of money. Sadar Bazar is very near to the metro station.Ramakrishna Ashram Marg,Tis Hazari Metro and New Delhi metro station is the nearest Metro to Sadar Bazar and the distance is almost 1 km. Business depend upon your area and location.You can come and buy product even in Nai Sarak Chandni Chowk delhi. Basically all types of item you can get in large quantity but especially in this Sadar Bazar there are more than 50 shops who sells these types of items in wholesale rate. This is the best place you can buy. The transport facility is also available in this market. You can book your goods and you can get it in your desired destination. My personal suggestion to you that don’t go behind the Dalal, who gives you card and promise to give you product in cheap price. Please don’t go behind them, go direct to the shopkeeper.Remember and be careful about your valuable things.Take care of your pockets,because there are so many pickpocketer are also available in market.It’s very necessary to take care of your belongings and ornaments.you can come in this market at any days except Sunday. On sunday more than 50% shops are open but don’t come. The nearest railway station is New Delhi railway station. You can get guest house and hotels in Paharganj area that is near to Sadar Bazar. You can stay there, I also uploaded video of the hotels and you can watch video. Visit my YouTube channel ‘Delhi NCR’ there are so many video related to the wholesale market, so you can get the benefit of that and you can save a lot of money by purchasing from that market.